service recognised by the Australian Hairdressing Council. 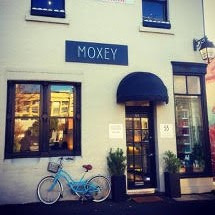 You can book at Colin Moxey Hairdressing South Yarra online using our Book Now button located above. Select from a list of services offered, pick your favourite Colin Moxey Hairdressing staff member and book from the dates available. At Colin Moxey Hairdressing our team of motivated stylists will strive to provide the highest level of professionalism for each and every client, with a view to building a long-lasting relationship of trust and loyalty. We are dedicated to providing a memorable experience for each of our guests through exceptional service and technical excellence and aim to provide a relaxing, positive, and motivational experience for every client that visits us. The overall ranking and star rating is based on customer reviews received in the last 6 months. All customers that paid for a service at Colin Moxey Hairdressing were requested to complete an independent review by mylocalsalon (a minimum of 26 reviews are required within the last 6 months to receive a ranking). Always a superior sevice here. Above & beyond. Fabulous style cut by Richard once again. He is highly skilled at cutting my hair in a modern style that is easy for me to manage, and I always get lots of comments about my hair! Thanks Richard, until next time!